CLJI Worldwide is empowering people worldwide to make smart health decisions and reducing global suffering by protecting them from physical pain and emotional suffering of preventable diseases. CLJI began as a dream between two practicing medical doctors in different specialties that have been best friends for over 30 years. They decided to use their knowledge gained in their specialties of practice to help reduce pain and suffering in the world. These intentions became reality with the arrival of a third partner, a dynamic CEO and business leader. Together we committed to identifying problems and pursuing opportunities overlooked by the healthcare market. We are proud to be solving real problems with scientifically proven products. For more than 25 years, Dr. Craig Lichtblau has cared for catastrophically injured patients that have suffered from all types of musculoskelotal pain and deficits. These catastrophically injured patients include patients that have suffered from traumatic brain injury, spinal cord injury, stroke, progressive neurological diseases, amputations, multiple orthopedic trauma, and burns. Dr. Lichtblau has admitted over 6,200 patients at a level 1 trauma center St. Mary’s Hospital in West Palm Beach, Florida. Dr. Lichtblau has treated over 35,000 outpatients in his outpatient practice that have suffered from musculoskeletal pain and discomfort. Worldwide STD prevention became the initial project. Dr. Lichtblau’s intent was far greater than merely reducing the transmission of disease. 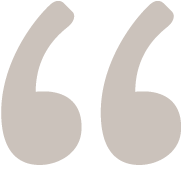 He felt strongly about decreasing pain and anguish, and heading off the many internal and neurological complications that can result from infection. The result was the invention of a cream lotion which forms a ‘liquid mechanical barrier’ to enhance the skin’s protective abilities, developed with his fellow physician and friend of over 30 years, Dr. Jose Iparraguirre. Dr. Lichtblau wears many hats as a physician and a educator. He is the Founding Medical Director of the inpatient rehabilitation unit at St. Mary’s Medical Center, as well as the Medical Director at the Florida Institute for Neurologic Rehabilitation. 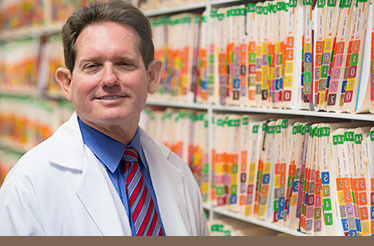 He is an Expert Medical Advisor for the State of Florida Agency of Health Care Administration. Dr. Lichtblau earned his Doctor of Medicine degree from American University of the Caribbean and completed a four year residency training program at Washington University Medical Center in St. Louis, MO. 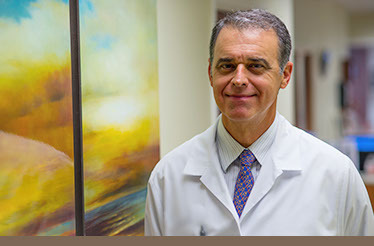 Dr. Jose Iparraguirre has been providing female patients with the best in Obstetrics and Gynecological services for more than 23 years. Prior to his current practice, he spent more than nine years as a Co-Managing Partner at Florida’s largest Obstetrics and Gynecological practice, Personal Physician. He began discussing the situation with his childhood friend and fellow physician Dr. Craig Lichtblau, a man also driven to change the world through medicine. Together they developed their first product: a topical cream lotion that serves as a blocking agent to viral infections. Dr. Iparraguirre has also served as the Chairman of the Obstetrics and Gynecological department at Baptist Hospital of Miami, as well developing the corporate structure for Florida Health Professionals/Femwell Group Health, and rising to its Chairman of the Board. He earned his Doctorate in Medicine degree from Ponce School of Medicine, and served his residency at Jackson Memorial Hospital in Miami, Florida. Ty brings more than 25 years of enterprise-level leadership within the healthcare, ground transportation, and aerospace industries. A US Army 82nd Airborne Division veteran, he’s an alumnus of Harvard Business School’s Advanced Management Program, and has earned a Master of Business Administration, and Bachelor of Science Degree in Aviation Operations and Management. As CEO, his personal mission is concentrating all of his life experience on addressing health issues that span cultures, languages, and boundaries. passion and desire to change the world. Prior to founding CLJI with his partners, Ty was a Senior Advisor to McKinsey & Company. At Stryker Corporation, he helped develop and launch the new Performance Solutions Division. Ty founded Soleus Medical LLC, a medical device and supply import, export and distribution company committed to improving the patient experience while reducing healthcare costs. 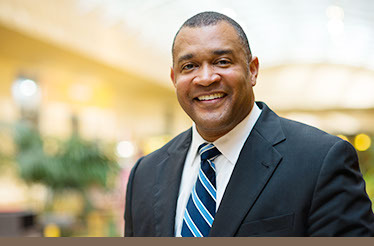 Prior to that he was the VP of Maintenance and Engineering at Ryder System, after serving as a Vice President and various management positions at American Airlines and United Airlines for more than 16 years. THERE’S SO MUCH ROOM FOR INNOVATION IN PERSONAL CARE. CLJI IS ABOUT SCIENTIFICALLY PROVEN PRODUCTS, DEVELOPED BY LICENSED PRACTICING MEDICAL DOCTORS, SOLVING REAL PROBLEMS.